I have some classic-looking new portraits from the incomparable Adam Robertson to show off! :D Thank you, Adam! I have a couple more shoots in the southeast this week, then I'm off to Middlesbrough straight after my last shoot on Saturday to help celebrate my brother's 21st birthday and generally party like a university student again, i.e. cheaply. Sunday will no doubt be spent in a hot bath drinking green tea and thinking away all the toxins, ready to be fresh for my shoot in Darlington on Monday, after which I'll be hightailing it back to London as I'm booked here somewhere every day that week! Phew!! I was shooting commercial/ lifestyle type things on Tuesday, then cast for two different shows on Wednesday before dashing off to a photo shoot in the evening, then yesterday I had two different shoots in two different places, but on the same day! Cue lots of makeup application, removal and re-application on the tube! Well, this weekend I'm cuing up my bed, DVDs and maybe even a pizza, I think! ;) Oh, and Hannah Ashlea's Pretend to be a Dinosaur Day party tonight... I think I'll wear my snakeskin pattern leggings... snakes and dinosaurs both have scaly skin, right?.. but can't think what to wear with them! Or what to bring... all I can think of is T Rex cocktail puns. Ooh, I love these photos that Luci Phillips has posted from our shoot in my apartment two days ago (one of my £60 "September Apartment Shoot" bargains)! Go go, Gadget Wig! So impressed that it stayed on during some extensive hair-flicking! Thank you, Faye!! Seeing Streetcar on the big screen yesterday was amazing. I studied the play at A Level and have always liked the film, but seeing it yesterday I felt like I really "got" it and understood the character of Blanche DuBois for the first time. It may seem ridiculous for a financially independent and happily coupled 25 year old English girl to say she relates to a fictional, fading, utterly dependent (famously on "the kindness of strangers") Southern belle, but I did. I was so moved that instead of being sociable when the film was over, I ran straight home to watch it alone in my living room all over again, with the lights out, a big bottle of Absolut and lots of ice. Don't feel sorry for me; I was enjoying indulging myself, in a maudlin sort of way. In fact, it was a nice surprise to be affected so much by a film I'd already seen multiple times. 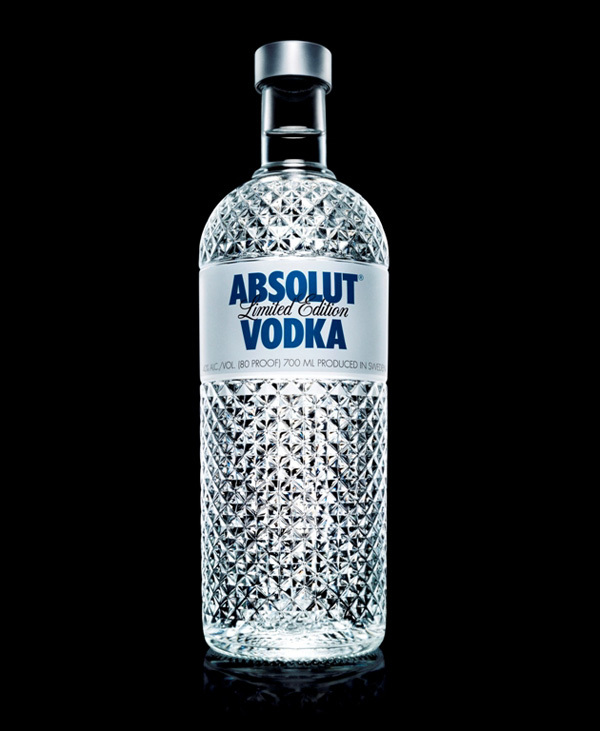 On an unrelated note, how cool is the "Glimmer" Absolut bottle?? When it's empty, I'm going to keep it and make it my new vodka decanter. 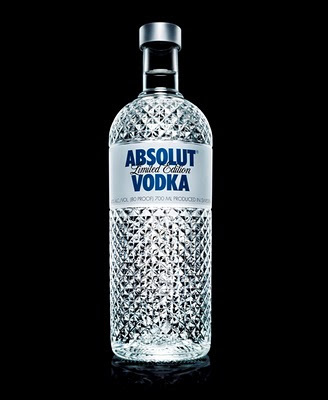 I love that diamond "cut glass" pattern on almost anything! Things to Come was very strange/ interesting! I may get it on DVD at some point. As well as the film itself, I really enjoyed the 1930s ad reel and the B feature, which was a news report of the cinema opening for the first time in 1936. It's amazing what a big deal a cinema opening was back then! Hoards of people being held back by police officers as they tried to get closer to the famous actors and directors arriving in limousines to sign autographs and swan around in front of the cameras, the men in tuxes and the women with perfect Marcelle waves, fineliner pen-thin eyebrows and deep, dark eyes and lips, in floor-length silk and lace gowns trimmed with corsages, diamonds and mink! To go to the Odeon! Speaking of black and white, I'll decorate this otherwise fairly pointless and meandering blog with a black and white photo by Trevor Yerbury :) He' s somehow made it look like it was taken around the time Things to Come was filmed, although it was actually taken only this summer when I was visiting Edinburgh :) I still have the wig! Of course, hair colour doesn't matter when you're wearing a hood! I'm not allowed to post many of them, but this is a "teaser" for the promo material that I shot with Keital last month for the Mach 2 15th Anniversary Main Event :) I'm the one in pink! I have a couple of "behind the scenes" photos of the other model, Sally, and me, including one of me attempting to play tennis with her in a latex catsuit and her amazing Bettie Page boots! Looking forward to parking myself in the luxury section for two hours to watch Things To Come (1936) on Friday, at my local Odeon, of all places! I'm used to going to quirky little arthouse cinemas that serve alcohol and are always showing something European and involving mustaches, so it'll feel strange to "go mainstream", for once! I slept until 11 am today, which is really late for me! Normally my legs spring me out of bed at 8 am and I'm straight in front of the TV working an exercise DVD with my eyes only three-quarters open. Today I short-cut straight to mid-morning skinny latte and cinnamon toast! Madame Bink must have worked me hard at our shoot yesterday! It was great catching up with her, Adam Robertson and their gorgeous pup Major :) I can't wait for them to move to London so we can hang out more regularly. Adam has just put a new set of photos of me up on Zivity- here are my choices for the free previews! Stefano has invited me back this month to do a more fashion-orientated shoot with a stylist he knows for some magazine submissions, so that should be good! I'm so used to styling myself that it feels like a massive luxury to have someone else "do" wardrobe! I was feeling really quite rattled that day, having heard about Tara's passing away so recently, yet the photos from that day seem really light, soft and almost... not exactly happy, but... philosophical?! It's strange when things like that happen and reminds me that a photograph really is a way of freezing a moment in time and in life. Being a full-time model, almost every major event in my life over the last five years has coincided with a photo shoot, so I have a strange sort of record of how I felt and what I was thinking, what had just happened and what was just around the corner at various moments in my life. No-one else would know what I was really thinking and feeling inside from looking at the photos, but I look at them and remember. It's strange to see my face with almost zero makeup! And it was good to finally work with Rob- I think the first time he contacted me regarding shooting together was in Asia last year! Mach 2 magazine (Summer 2011) centerfold! 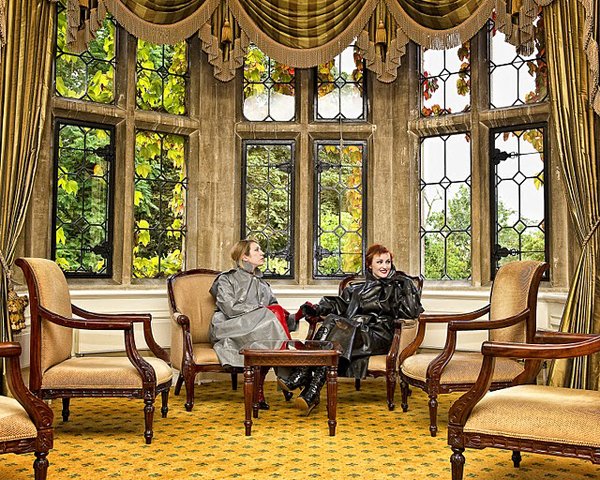 I was shooting the promotional material for the Mach 2 Main Event with Keital at Horwood House Hotel on Tuesday and happened to stumble across a photo of myself in the magazine whilst having a post-shoot cup of tea, before we went to dinner. I think this is my first ever centerfold!